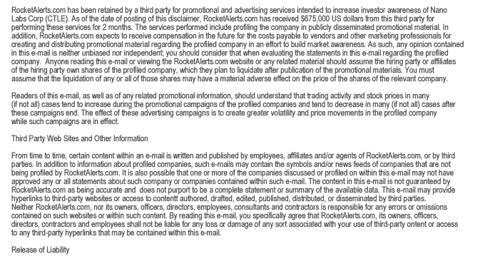 $CTLE is a Pump and Dump here is why. 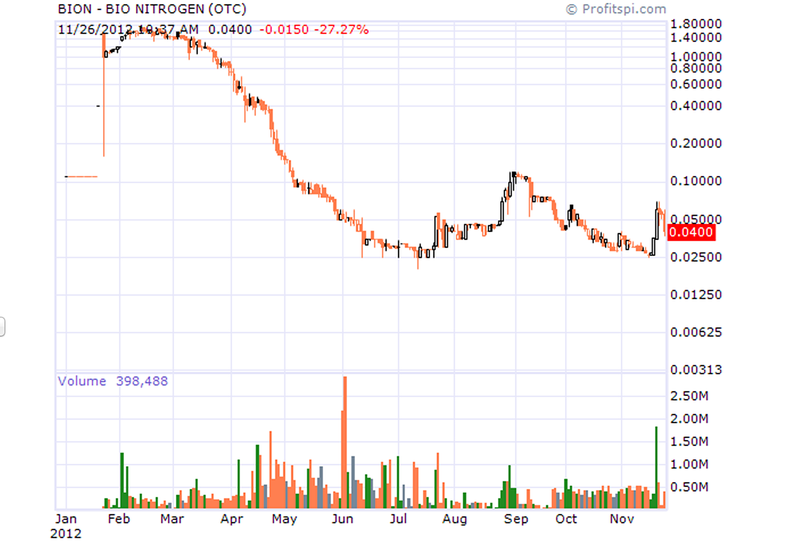 As you can see there was little trading action prior to November 11, 2012. 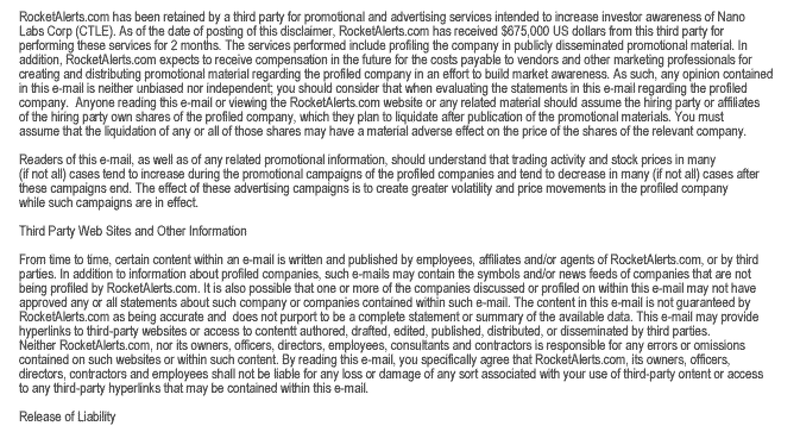 This is why the insiders paid Rocketalerts.com to promote $CTLE. They are paid to bring in suckers so the insiders have someone to sell their shares too. It is just a shame that the pumpers have brought in alot of suckers. These suckers will get crushed when the dump occurs as the insiders selling their free trading shares laugh all the way to the bank! 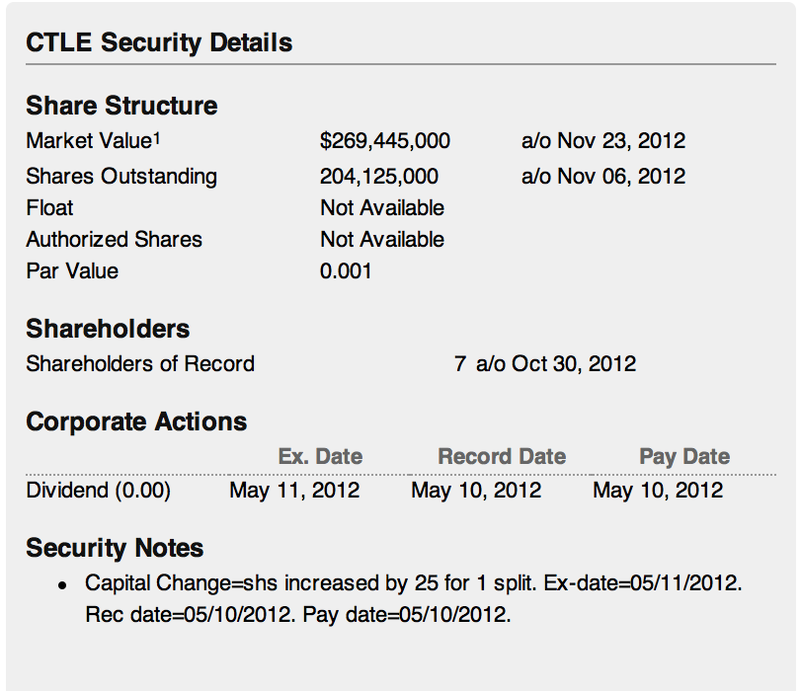 CTLE has little to no assets and at these levels the company is valued at $250,000,000+ . $CTLE future fate is most likely the same. 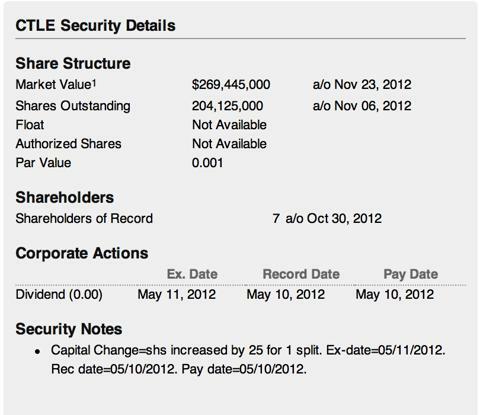 $CTLE is a pump and dump that will slowly dump into the ground in the next few months. Do not go down with the ship, YOU HAVE BEEN WARNED. 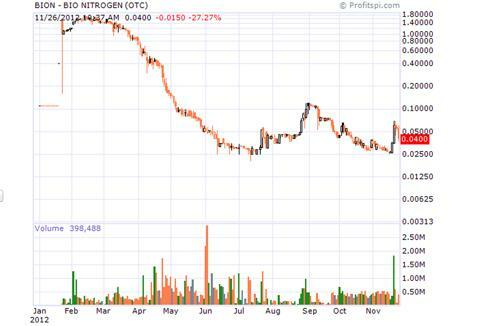 Never invest in a pump and dump! Disclosure: I am short CTLEE.PK.